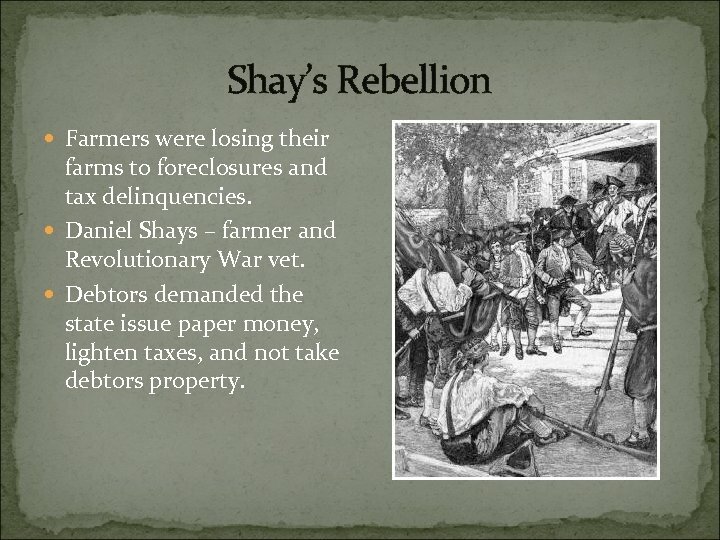 Shay’s Rebellion Farmers were losing their farms to foreclosures and tax delinquencies. 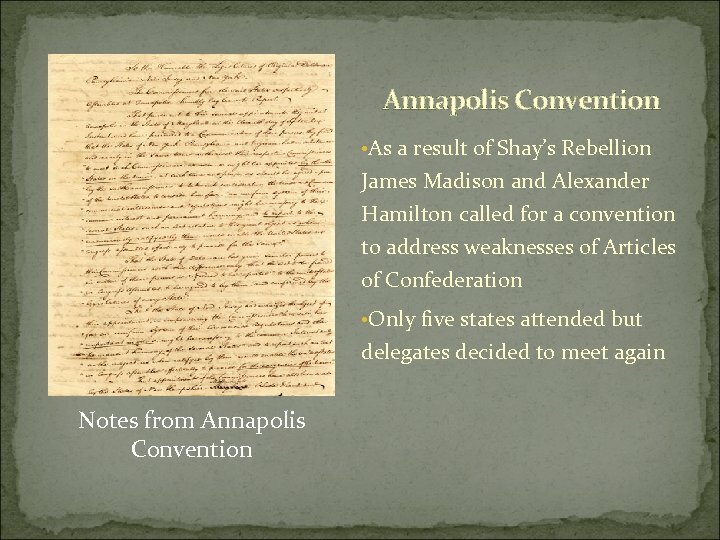 Daniel Shays – farmer and Revolutionary War vet. 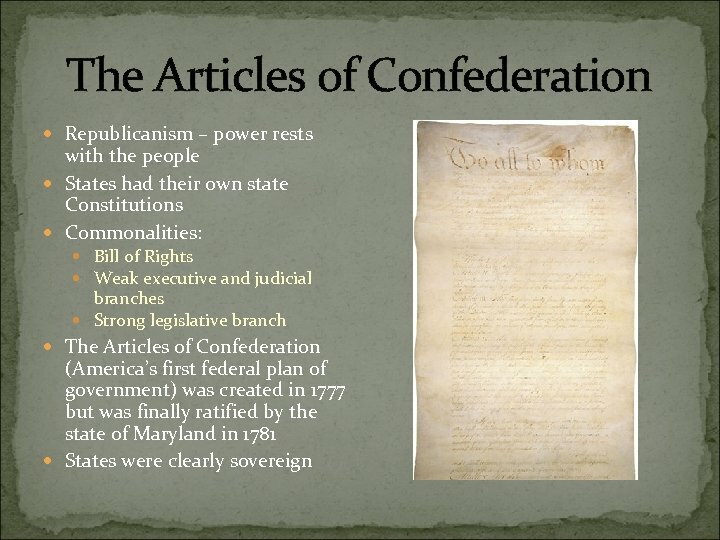 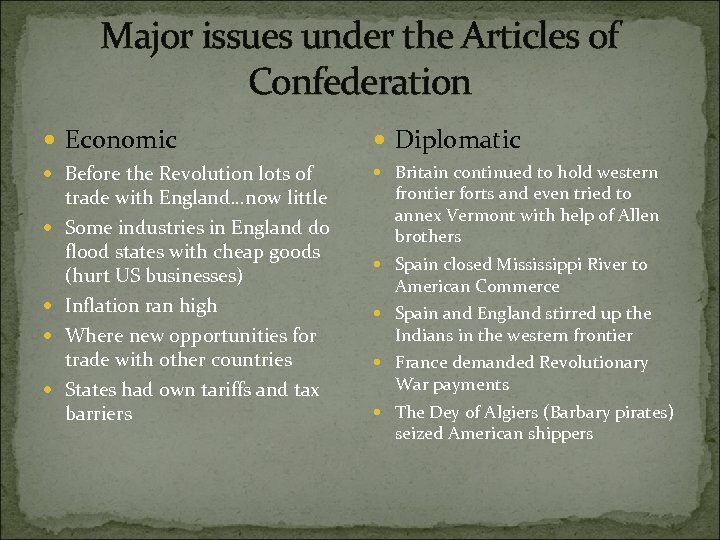 Debtors demanded the state issue paper money, lighten taxes, and not take debtors property. 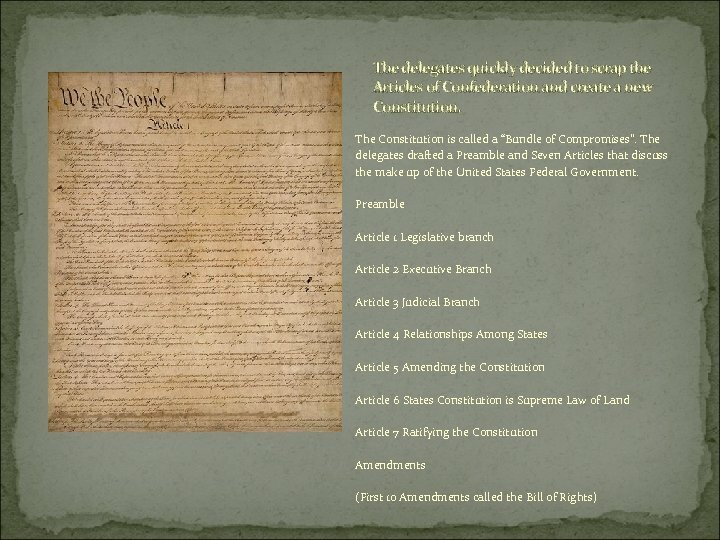 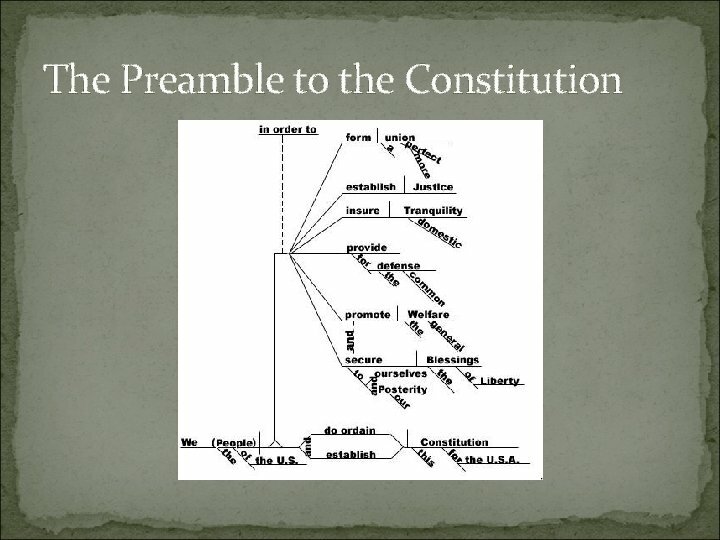 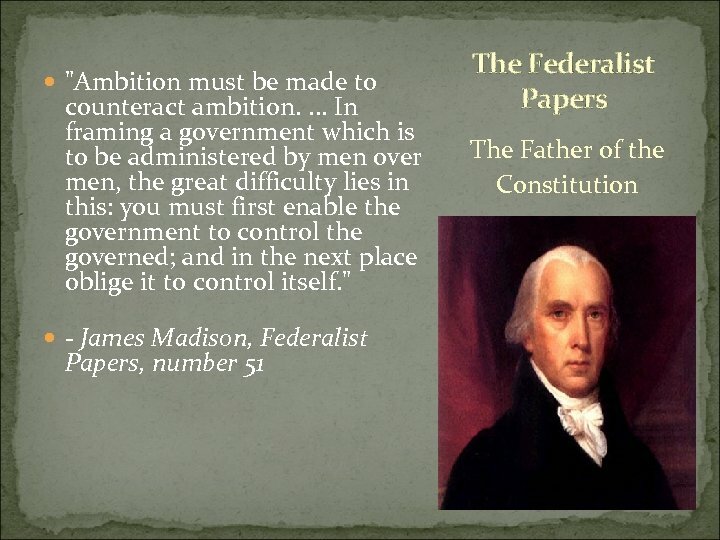 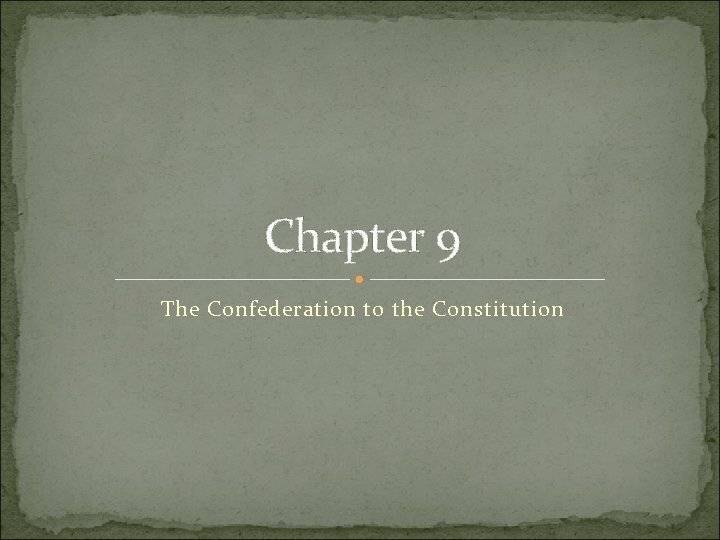 Article 1 The Legislative Branch Large state plan, or Virginia Plan, proposed by James Madison. 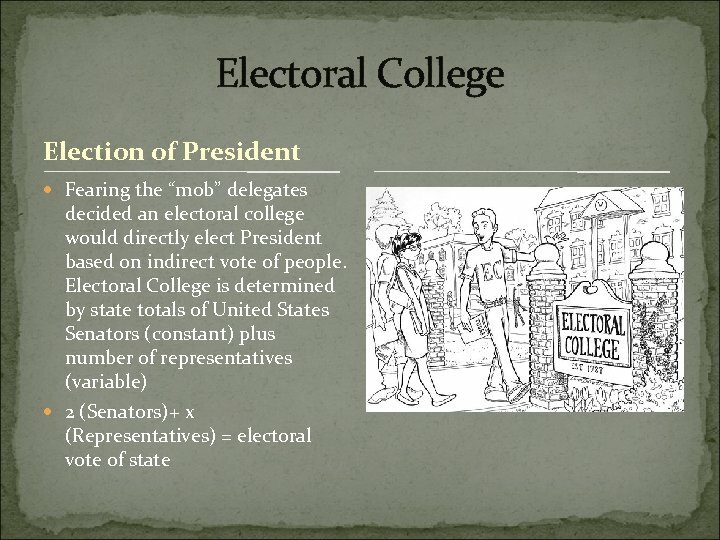 A bicameral legislature based on population. 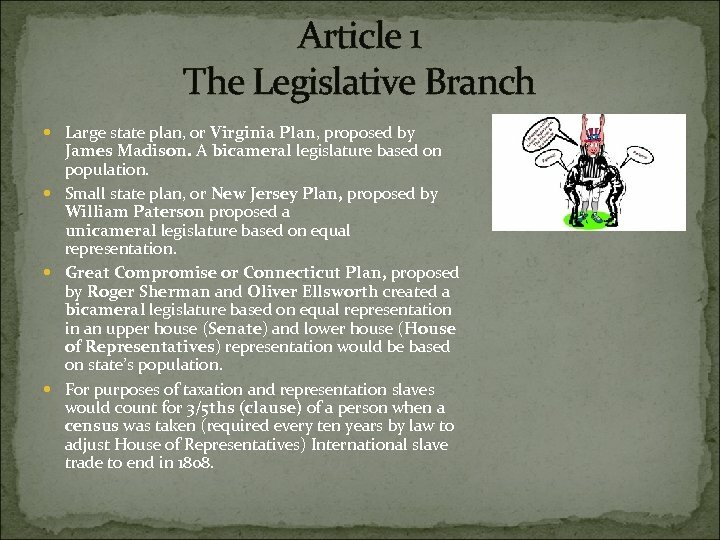 Small state plan, or New Jersey Plan, proposed by William Paterson proposed a unicameral legislature based on equal representation. 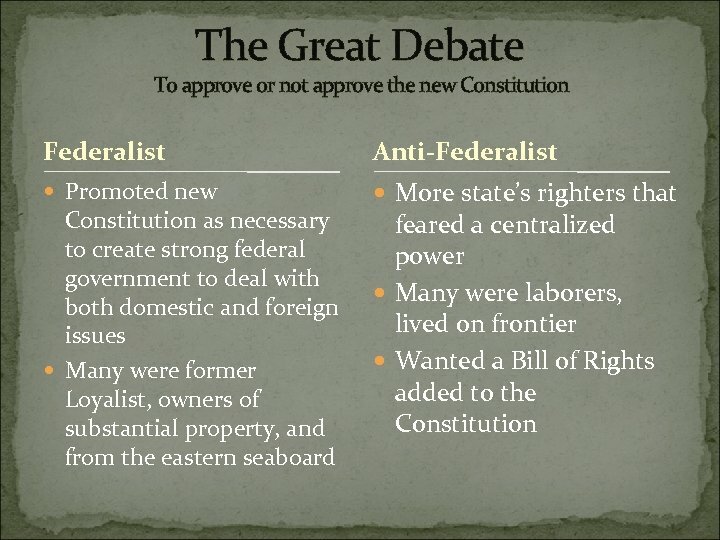 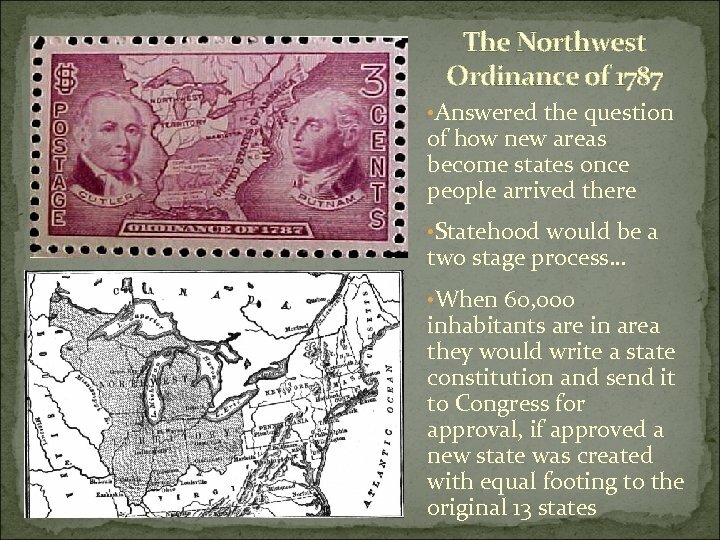 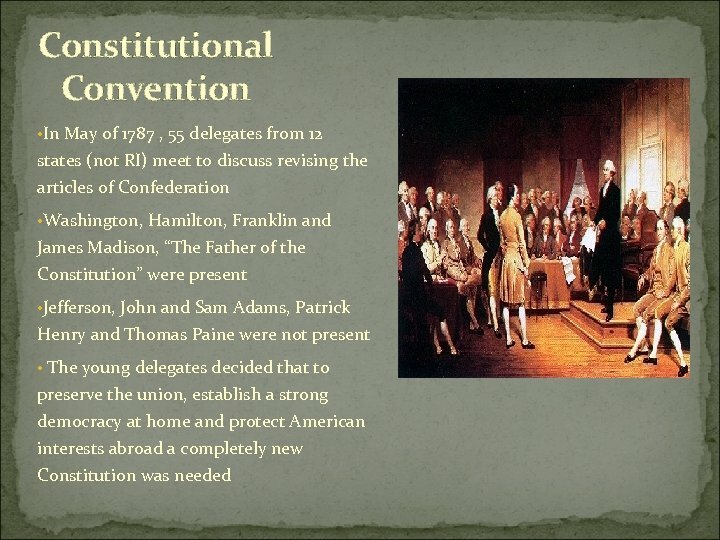 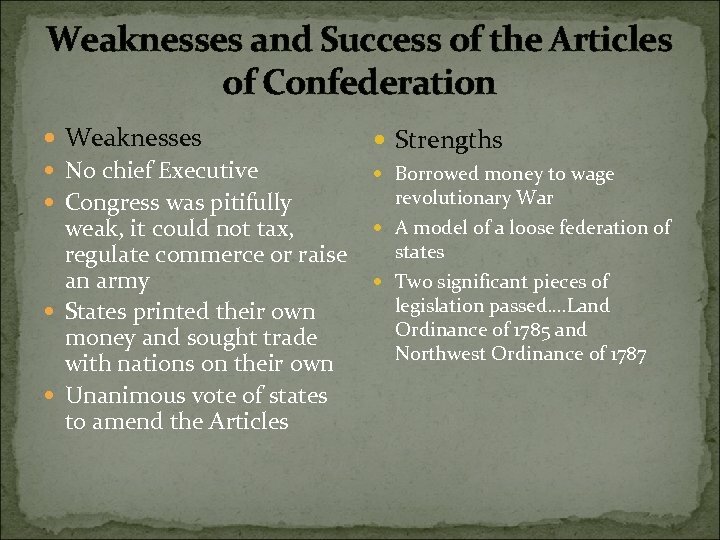 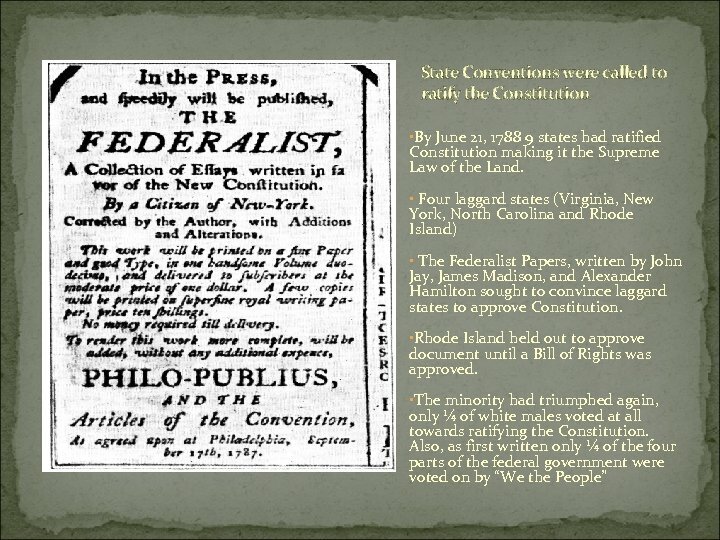 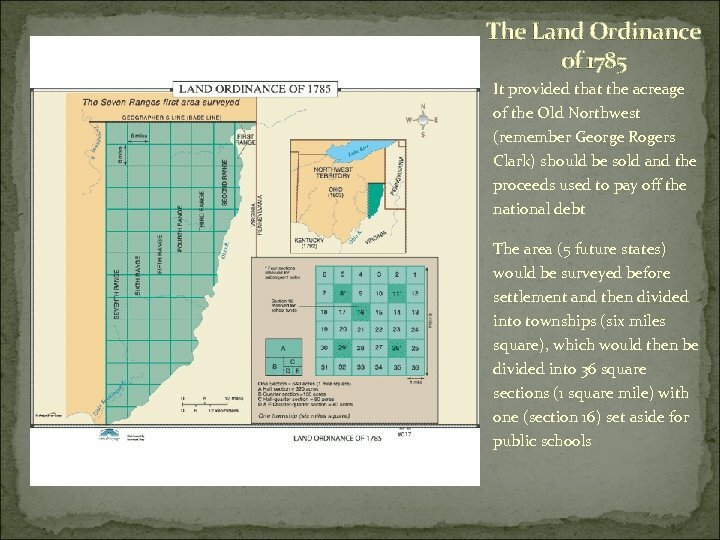 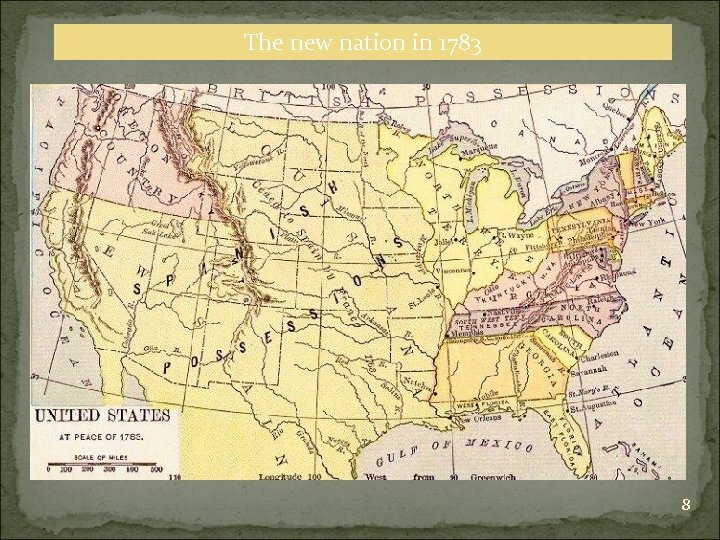 Great Compromise or Connecticut Plan, proposed by Roger Sherman and Oliver Ellsworth created a bicameral legislature based on equal representation in an upper house (Senate) and lower house (House of Representatives) representation would be based on state’s population. 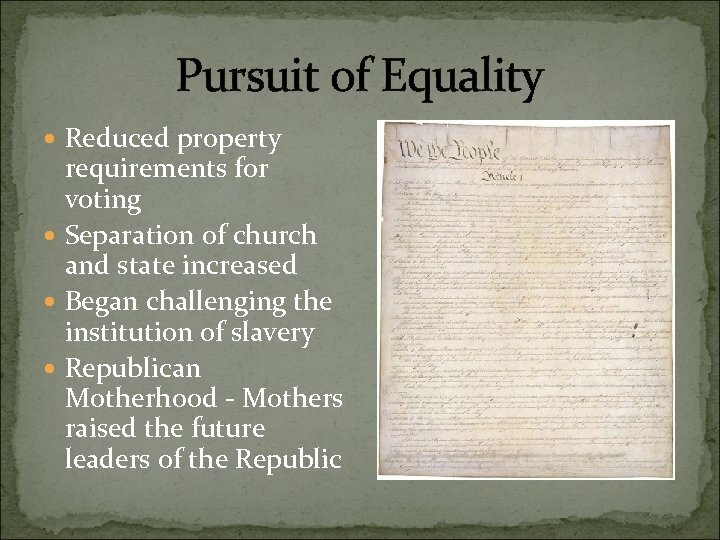 For purposes of taxation and representation slaves would count for 3/5 ths (clause) of a person when a census was taken (required every ten years by law to adjust House of Representatives) International slave trade to end in 1808.